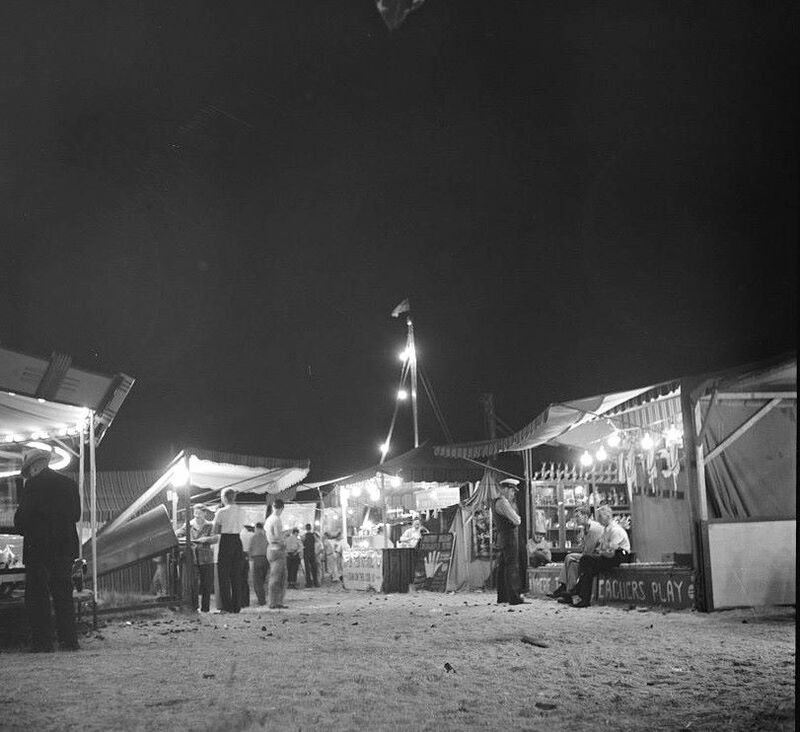 Perhaps one of the reason that outdoor show business history has so many broken links is due to the fact that so many of the people who played an integral part of shaping the carnival business history were unknown by their given names. In the fifty odd years that I have been involved in the carnival business I have had the pleasure (and pain) of knowing hundreds of people by their nicknames but I would be hard pressed to tell you their Christian names. Most were given nicknames by their co workers for reasons pertaining to their habits, idiosyncrasies or personality quirks. In addition to the Blackie’s, Whitie’s, Red’s and occasional Slim’s I have met over the years, a few of the more colorful monikers (that aptly suited some to a T) come to mind. There was: Cigar, Jimmy the Tourist, Bad Eye Freddy, Bitchin Bill, Silly Bill, Goofy Don, Crazy Sammy, Insane Mike, Canadian Red, Reno, Doobie, Monkey, Hermann the German, Sherman the Vermin, Big Jim, Little Freddy, Bennie the Bean, String Bean, Rockin Bobby, Switchblade Joe, Wino Wayne, Whiskey Bill, Big Six, Sully, Pops, Charlie Brown, Cross Country Sweede, The Sheik, Two Gun Steve, Riverboat, Jimmy The Wop, Steve the Puke, Mousey, Earl The Pearl, Earl the Squirrel, Pollack, Jerry the Jag . . . to name just a few. Most of these people I only knew for awhile, perhaps a season or two. I suppose it’s endemic to our nomadic lifestyle that, like ships in the night, show people tend to drift away, to other shows, other midways, new horizons, then eventually just fade away and disappear and you never see them again. There is no record of their ever having passed through your life. These are the people that didn’t end up in history books. They shied away from notoriety for reasons of their own but, for better or worse, they were the color of a midway, the ones that everyone always told those great, legendary jackpots about for hours around the cookhouse table. These people were the spice that gave the business its unique flavor. They were a product of their time and could never exist in today’s world. I do miss all that.